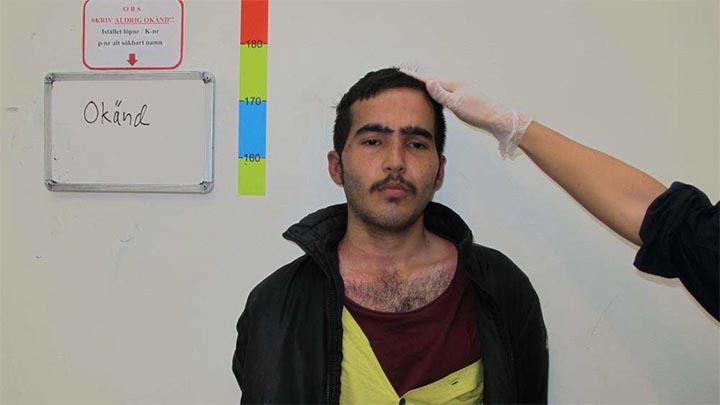 Sweden: Afghan Muslim settler who stabbed a police officer last year not a child, but an adult……. – The Tundra Tabloids……. At the time, the hard Left was screaming at the top of lungs against the idea of actually testing whether these ‘children’ claiming asylum/refugee status were really children. Prosecution has now been brought against Muhammad Hussaini who, on August 31 last year, stabbed a police at Medborgarplatsen in Stockholm. On his asylum application, Hussaini has stated that he was born in 1999 and thus was 17 years old last summer, a statement questioned by experts – and nowadays also denied by himself. Is Muhammad Hussaini 17 years old? It has been a key issue for police investigators to try to clarify in the short six months that have elapsed since the summer knife attack in central Stockholm. Coroner of Forensic medicine, Carl Johan Winger writes in a statement that the results of the studies he has carried out “suggest that he was 18 years of age or older at the time of the investigations”. The social services and the migration Agency’s staff are also reported to have hesitated over Muhammad’s age. One of those who reacted to the age is an employee of the Migration Board who has an Iranian background. “The employee experienced the applicant as being significantly older than the 17 years registered on him”, is read in a service note from the Swedish Migration Board, which was written in May last year. But what perhaps speaks strongest that Muhammad was not 17 years old last August is that he has changed his own name for over a year. He now claims that he is an adult man and has repeatedly asked to return to Afghanistan. Previous Post Previous Post Finns Party candidate for president Laura Huhtasaari: Close the borders and take Finland back……. Next Post Next Post Norway: Afghan immigrant father rapes own daughter, ‘teaches her a lesson’ for sleeping around…….